Guest writer Danny Newman shares how overcoming travel mistakes can lead to great memories, lots of laughs and new perspectives on life. Travel is far more than just visiting different parts of the world and doing cool stuff. It is life-changing, intense, vibrant- sublime. I see travel like a master key that opens a multitude of life’s doors that would otherwise remain locked. Travelling puts things in perspective, makes you humble and makes you brave. It helps you discover who you are and illuminates your priorities. It’s the ultimate self-development tool. Every time I go away I’m instantly reminded of why I caught the travel bug in the first place. It’s simply an incredible, enriching, life-enhancing thing to do. …But it isn’t always easy. On the contrary, you quickly learn that travelling is full of ups and downs. Predominantly ups, but with definite downs along the way. However, it’s all part of the process and, in a backward sort of way, is probably what gives travel its power. Growth through adversity and all that jazz. I could tell you dozens of stories from the ‘less enjoyable’ situations I’ve faced while travelling. However, there’s one in particular that comes to mind, which does a nice job of demonstrating the less glamorous side of travel, while simultaneously showing how this ends up enhancing your overall experience of both travel and life. 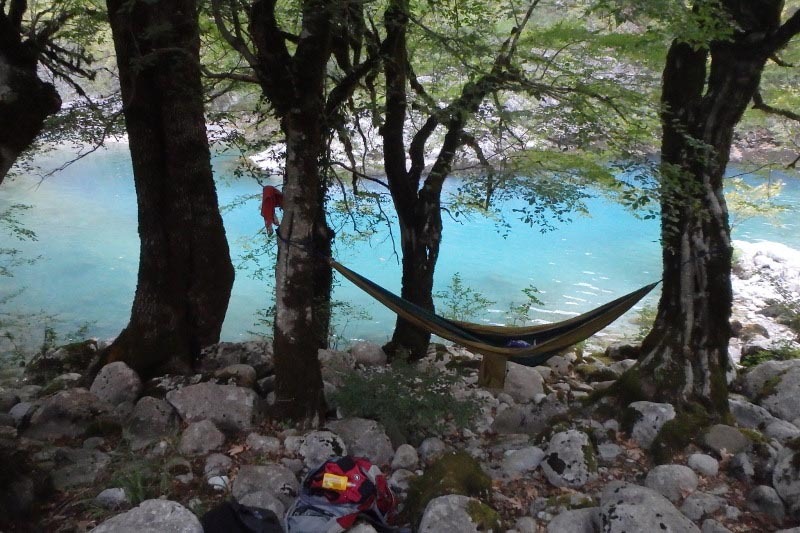 This particular story is of the night I shared a hammock with my girlfriend, G, one cold night in Northern Greece. 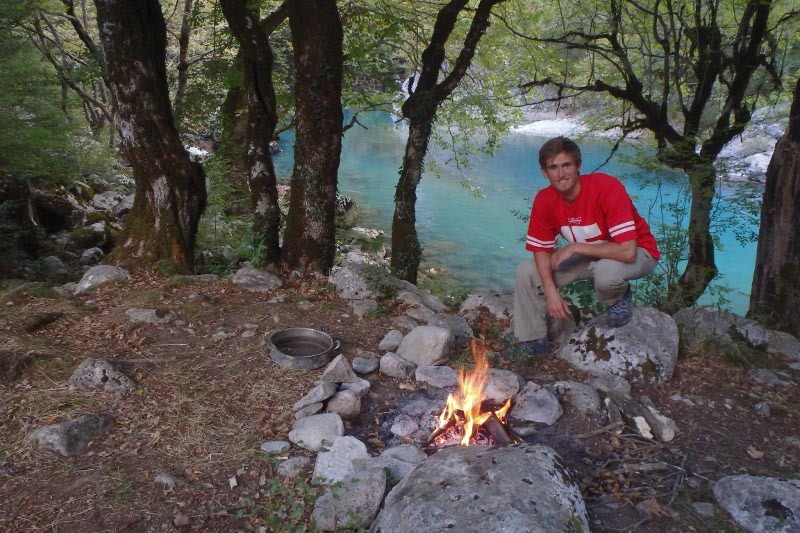 We were in the Vikos Gorge, to be exact, and were about two weeks into a three-week hitchhiking trip across the country. But allow me to start at the beginning! Before setting off for Greece I’d decided to purchase a hammock. In my head I envisioned warm Grecian nights out on sandy beaches, swinging gently in the breeze between two perfectly positioned trees, with a campfire, and maybe a beer or two, gazing thoughtfully up into a starry night sky before drifting into an easy, comfortable sleep. I had it all figured out. But, knowing that I’d be with my girlfriend, I’d been sensible and bought what I was assured was a two-person hammock…It most definitely wasn’t. 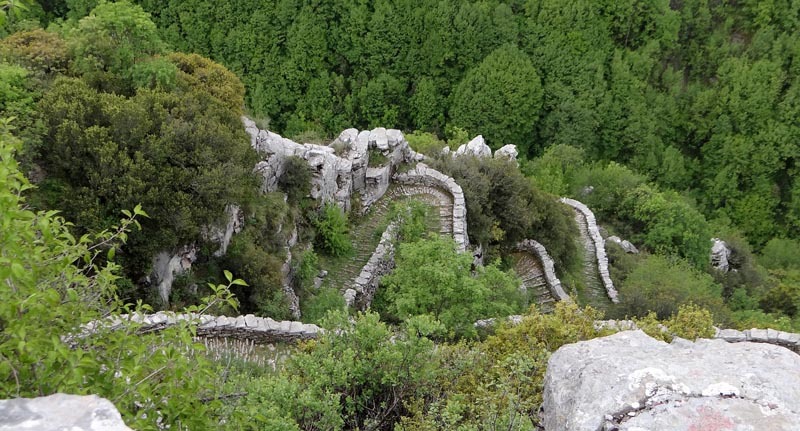 Stupidly, we didn’t book anywhere to stay before setting off for Vikos and, having already caught the bus to the gorge, we soon realized that prices for accommodation exceeded our meagre budget – despite being offseason. Suddenly, a conundrum: it was only a couple of hours before sundown, quickly getting colder…and we had nowhere to sleep. 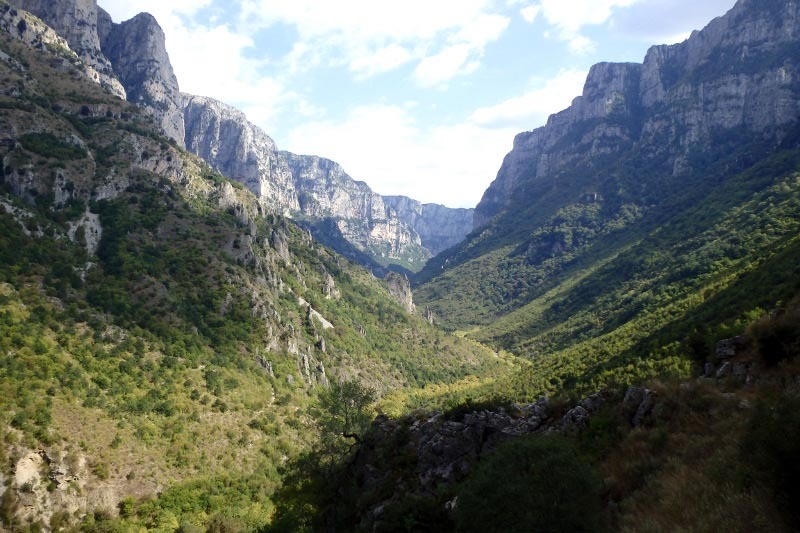 But having come all the way to Vikos we didn’t want to just turn back. And, even if we had wanted to, there wasn’t another bus that day anyway. We were stuck where we were and too stubborn (/cheap) to fork out for one of the hostels. So we walked around town instead and stumbled upon a map of the different hikes in the area. 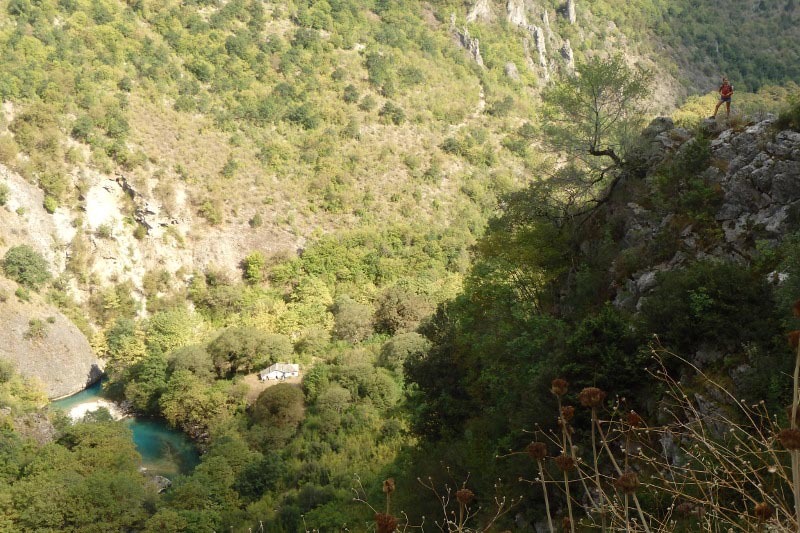 Of all the options, we noticed that one particular hike was short, 30 minutes or so, leading steeply down the hill out of Vikos town to a little hut next to a river. I looked at G, she looked at me: would tonight finally be the night that my hammock would come into its own? Or, even better, could we stay in the hut? We’d been planning on doing a hike the next day anyway, and by taking the short hike to the hut and camping out overnight, we could simply continue further along our chosen route in the morning. It seemed a reasonable option. However, to complicate things we had barely any food and a questionable quantity of water. Now, I’ll add that I like my food. I actually like my food so much that when I don’t feel I’ve eaten enough, some might say I get a bit grumpy. The thought of doing a two-day hike on meagre rations wasn’t particularly appealing. But, not yet ready to acknowledge my food anger management problem, I agreed to the plan and we set off down the hill. Despite my misgivings, the start of the hike went well. The sun was setting slowly, the colours, wildlife and vegetation all showing off their golden hues in the evening light. It really was beautiful. The hill was steep but manageable; the path clear and well marked. The gorge rose mightily around us. 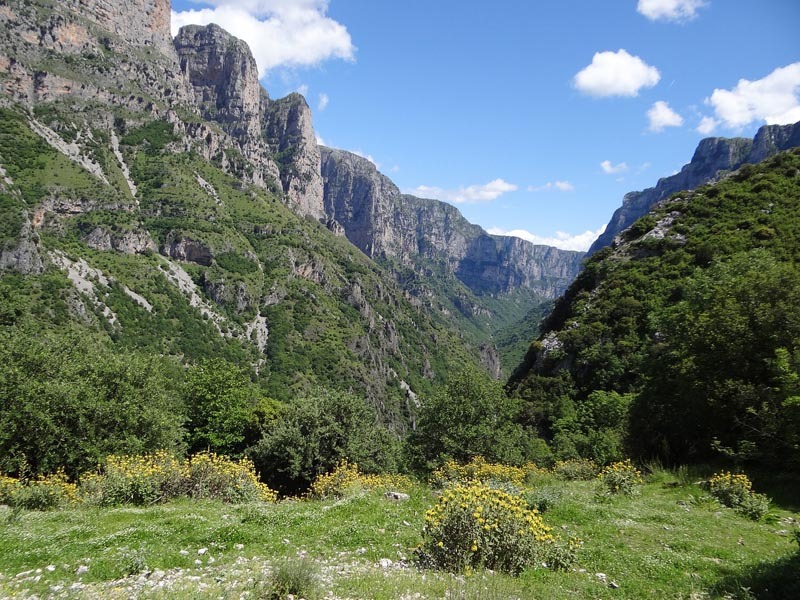 The Vikos Gorge itself is one of the largest in the world and absolutely remarkable to behold. Mountains and valleys rise and fall sharply all around; the scale of it all, beyond imagination. A river boasting crystal clear waters lumbers down through the gorge’s centre, paths criss-cross up and down mountain faces covered in lush, exotic fauna and flora. It was while admiring the scenery that we realised we were lost. We’d followed the path and at the beginning, we’d actually been able to see the hut- our final destination- and assumed we’d be there far sooner than the recommended time we’d seen on the map in town. As we’d descended though, the hut had fallen out of view – occluded by the bush around us. Random paths had emerged unexpectedly on either side and the signs, which had been so clear before, became far more ambiguous. We pushed on anyway, not really knowing where we were going but determined not to give up. Finally, after more than an hour of going in the wrong direction, losing and finding my Dad’s aviator shades that I’d borrowed (“I’ll look after them, I promise…”), sore backs, puzzled expressions, blistered feet and tired heads, we eventually got to our destination. Only to find out that the hut was already occupied. This was when the fun really started. After a brief, freezing dip in the river, we set up our camp up the bank, slightly away from the hut. We changed into warmer clothes, collected firewood and made a small campfire…and found a place for the hammock. It wasn’t exactly the perfect spot. Firstly, none of the trees were quite right. The best we could manage was a pair approximately the right distance apart but situated precariously over jagged roots and stones- not the sandy beach I’d imagined. If the hammock fell with us in it, it would hurt. The second (and main) problem was that the hammock was too bloody small. Actually, I tell a lie. For one person it was absolutely perfect! I got in first and the sides came up nicely around me, such that I could cocoon myself within, held snug with my sleeping bag on top of me and happily swinging myself to sleep. The issue was when G got in with me. My lovely cocoon suddenly felt more like a thin strip of material holding me precariously above the hard, knotted surfaces below. Feet were in faces, hands were all over the place. With any move the ropes wrapped around the tree slipped and jolted; cold rose from the ground, freezing our unprotected undersides. With the limited space between the trees we had to sleep with legs bent upwards or out- except that bending them outwards risked overturning the hammock. It was exactly how I imagine it feels to be a sardine in a tin- just colder, tighter and far more uncomfortable. What followed was approximately 7 hours of fidgeting, shoving, pushing and ‘accidental’ kicking with the odd insult thrown in. Everything but sleep. It was without question one of the most uncomfortable nights of my life. By morning I was tired, cramped, sore all over and stressed out. Actually, I tell another lie. I was a lot of things that morning, but I wasn’t hungry. The night before, the people utilising the hut had introduced themselves. They turned out to be a Greek Scouting group on an expedition, bogged down with all the food and gear you could ever possibly need. I think they saw our sorry state (and the stupidly small hammock) and felt pity for us, sharing with us the left over potatoes from their dinner. They were the best darn potatoes I’d ever eaten. And, it is this sort of happy silver lining that points at the overall feeling G and I came away with from that horrible, uncomfortable night. I mean, it undoubtedly sucked. The night had been awful and we were ridiculously tired and stressed. And, yes, it is true that the following morning we admitted to each other how, at a certain point during the night, we had felt express hatred for one another. And yet, we laughed about it. What more was there to do?! Moreover, ignoring the discomfort, there’d been a lot to be thankful for and in awe of. 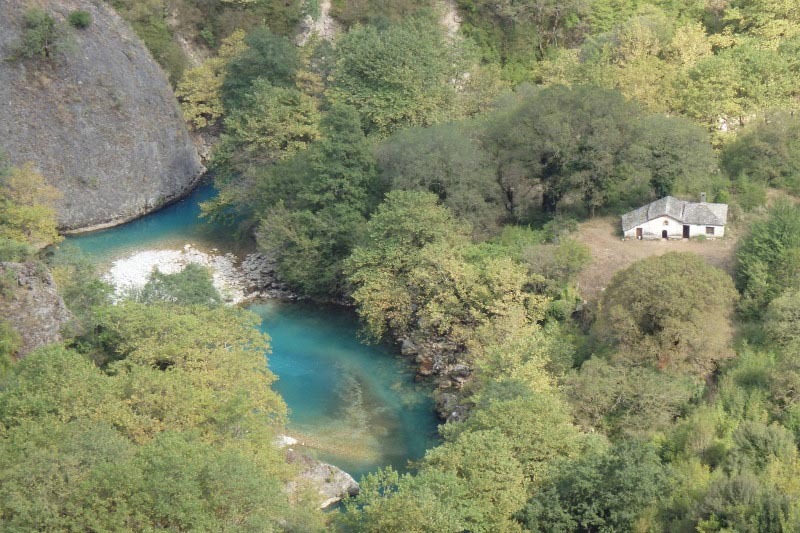 We’d slept outside under a night sky replete with stars and milkyway, tucked away in a breathtaking gorge with the sounds of flowing water to (sort of, but not really) send us to sleep. Friendly scouts had shared their potatoes with us. 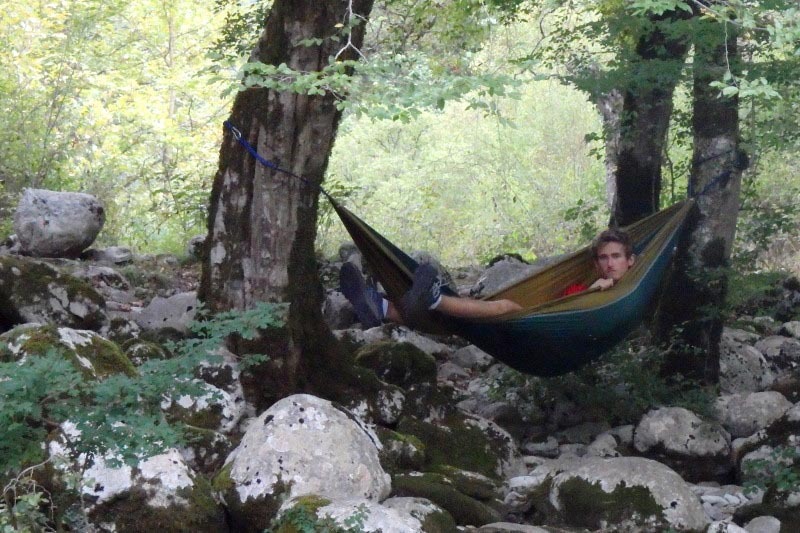 And, despite vowing never again to share a hammock, we came away with a funny story to tell. Which leads me back to my initial point! Among all the undeniable good, travel will confront anyone with their fair share of tough times and challenges – whether they’re physical, emotional or otherwise. And, though we travel for the ups, it’s sometimes the downs that provide the real value for money. After all, what goes up must come down…right? To hope for and expect constant highs is to set ourselves up for an even greater fall. Hardship is part and parcel of life. And that’s a good thing. Ultimately, travel is a fantastic teacher. In its classroom we learn more than just academia- we come to understand life and our place within it. We learn about who we are and what we’re capable of; areas where we excel and those we could improve upon. It is a cruel but sweet irony that such learning often comes on the other side of hardship. For this reason, I wish absolutely all of you all the ups and downs you could ever wish for on your future travels. I know you’ll have the time of your lives. Do you have any funny stories from challenges you’ve experienced on the road? What lessons have you learned from them? Share them in the comments! 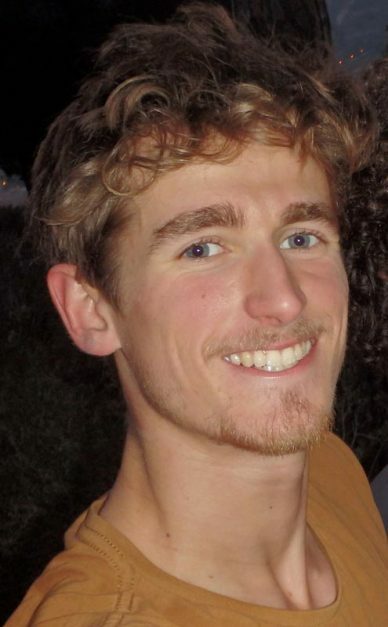 Danny Newman is a travel enthusiast with a passion for writing and inspiring others. He runs a blog called Coddiwomp, which is dedicated to helping aspiring travellers travel for the first time. For Danny, the essence of travel is found in the feeling it elicits. He wants to inspire and support as many people as possible to experience this ‘travel feeling’. You can follow the blog here and find him on Facebook @coddiwomp and Instagram @coddi_womp. 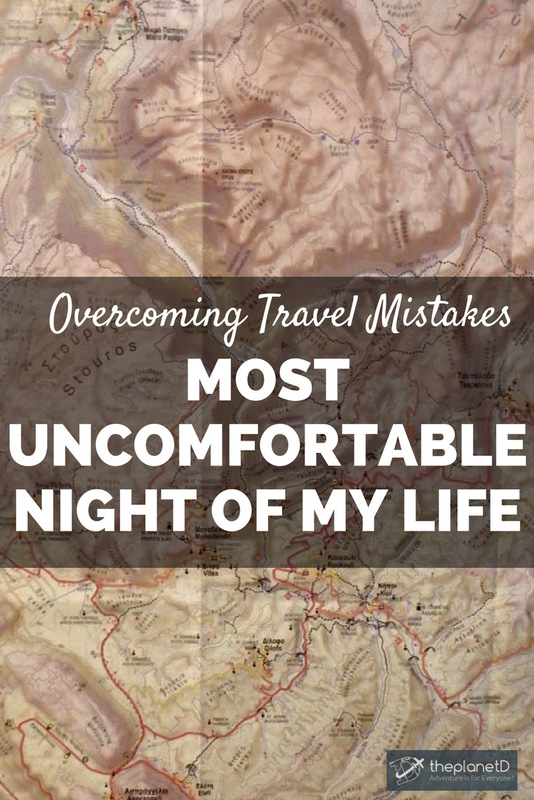 6 Responses to "The Most Uncomfortable Night of My Life: Overcoming Travel Mistakes"
Truly one good story and journey you both had, the best part is that you already found your Dad’s shades hhh. Personally, I never go on a trip without preparation, I’m some kind of maniac when it comes to preparation, also sharing a hammock isn’t an option for me, getting enough sleep and getting up early the next morning is one of the Musts for my travels. Really!!!! Travelling really changed your life and gives you lots of lessons. I really learnt a lot from your blog. Thanks for sharing your travelling mistakes. Haha this is great. I can’t imagine trying to share a hammock with someone else for the entire night no matter how big it was. Did you burn it after that? If we look at it on a positive way, this can also be a part of an adventure, almost all the time we have plans, itinerary, routine but I think it does not hurt if we go without a plan…sometimes it’s fun…and a learning experience..